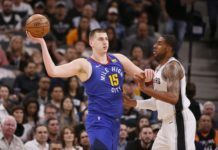 The Denver Nuggets have some ground to make up and, with just ten games remaining, this is a monumental home stretch as they sit at 39-33 on the season after an interesting last two weeks of basketball. The Nuggets’ have some disappointing losses in that time span, but, have the opportunity to turn things around with 10 games remaining. The good thing is that there is still some time left and, with a bit of hope and continued good play, they can make a case for a playoff push. So, without further ado, I give you, the good, the bad and the ugly. Denver’s play against teams they should beat hasn’t warranted the idea that they’re a team that should make the playoffs, especially with knowing how much is on the line and Denver not getting it done. They’ve come out and lost games they couldn’t afford to lose and, until Wednesday night’s game, they had lost three straight games to sub .500 teams. 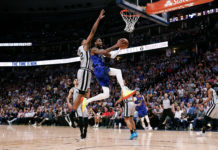 There was the bad loss to the Dallas Mavericks, the uninspired game against the Los Angeles Lakers and the most disappointing of them all, Denver falling to the Memphis Grizzlies who had lost 19 consecutive games until beating Denver. In Wednesday’s win against Chicago; however, it was a completely different story as they put together one of their best games while also gaining and maintaining a big lead for their first time in quite a while. Denver beat Chicago 135-102 in a game they led by as many as 41 points in and it was their third-highest total of the season. Not many times has it been seen that the starters got to call it an early night while the bench played for the entire fourth quarter in a victory. Seven players scored in double figures and Denver controlled the game from start to finish, something that hasn’t been seen much from this Nuggets’ team this season. This was a game that the Nuggets desperately needed to win, not only considering where they are in the playoff chase but — with their recent struggles against inferior teams and a treacherous stretch of games to finish the season — this is exactly what the doctor ordered. 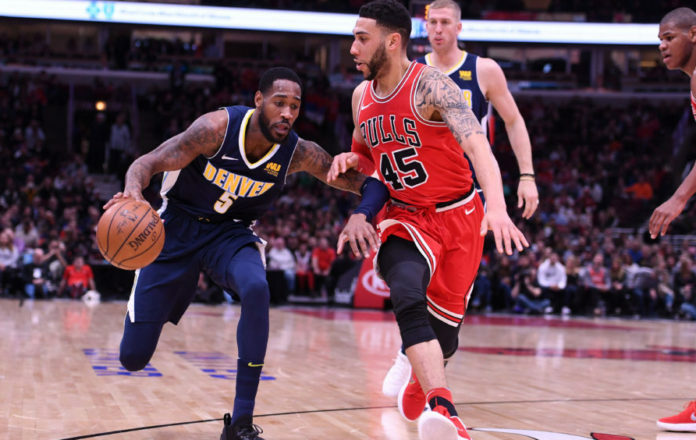 Last week, Harris went down with an apparent knee injury that now has the Nuggets trying to find ways to produce without their leading scorer. Denver has gone 1-2 in the games he has not played and, prior to Wednesday’s game against Chicago, head coach Michael Malone said he truly believes the team would’ve won one — if not both — games if his shooting guard had been playing. Will Barton has stepped up in his place and he’s been a mixed bag as a starter but is coming off of a game in which he went 7-9 from the field for 16 points. He also added three rebounds, five assists, and a block. Barton impacted the game in various ways, but his play is best suited to be coming off of the bench and providing that spark with Harris holding down the starting shooting guard role. Malone said that Harris is hopeful to return either Monday against Philadelphia or Tuesday against Toronto, but there is no promise that he returns and, even if he does, what are the odds that he would be able to play in both games of a back to back that Denver desperately needs him for? When taking a look at Denver’s schedule to close out the season, nine out of their final 10 games are against opponents that would be in the playoffs if the season were to end today, and the other game is against the Los Angeles Clippers, who are right behind the Nuggets in the playoff race. Denver must find a way to duplicate the game they had against Chicago to buy Harris some time to get healthy. On a positive note, he did participate in a workout prior to Wednesday’s game, but Denver must now do their job until he returns and that is winning by any means necessary. 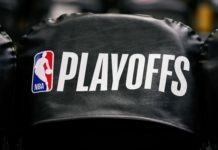 The Western Conference playoff race is in an all-out frenzy as only two teams (Houston and Golden State) are locks to make the playoffs with Portland looking pretty sure to make it. Beyond that, there is a log jam of teams that must continue to win and Denver has put themselves in a difficult position to close out the season as they had underwhelming performances against both the Lakers and Memphis that resulted in losses. But — with some help from the Atlanta Hawks as they defeated the Utah Jazz earlier in the week — the door isn’t completely shut for Denver’s playoff hopes.